Construction accidents in Brooklyn often leave workers dealing with serious and potentially life-changing injuries. They have medical appointments and treatments to deal with, families to support and worries about their financial future. 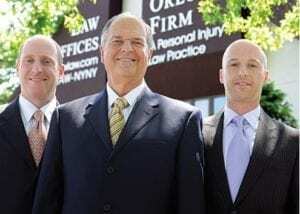 In the midst of all this, workers must also find a personal injury attorney with the knowledge and experience to handle their specific injuries. This can be challenging, especially for workers dealing with multiple injuries. To contact a Brooklyn construction accident lawyer, call (646) 647-3398 or send us a message online.